The largest city in Nebraska is Omaha, with a population of over 400,000, and a good portion of the state's commercial real estate listings are based in that area. However, a variety of commercial realty and investment property can also be found in Lincoln, Nebraska, which has an estimated population of 258,379. Bellevue, Grand Island and Kearney are all sizeable cities with populations of 50,137, 48,520 and 30,787 respectively. Nebraska is one of the most important states when it comes to farming and ranching. Commercial rural land is dedicated to products including beef, pork, corn and soybeans. When it comes to the industrial space in Nebraska, it is dedicated to various industries including transportation, telecommunications, IT and insurance. Several highly influential companies have their headquarters and office space in Nebraska including ConAgra, Mutual of Omaha, and Union Pacific Railroad. Also when many people think of companies based in Nebraska, they think of Berkshire Hathaway, which is helmed by Warren Buffet. Buffet is the second wealthiest person in the world. 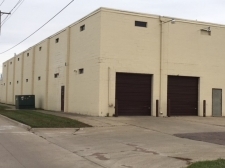 Attractive, clean, well lit facility for either mfg. or warehousing. 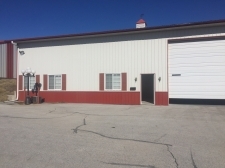 Well kept office building close to I-80, located near 108th and L St.